A lot of Facebook developers are unhappy with the social networking giant's plan to force them to use Facebook Credits for online purchases and they're not being shy about expressing it. 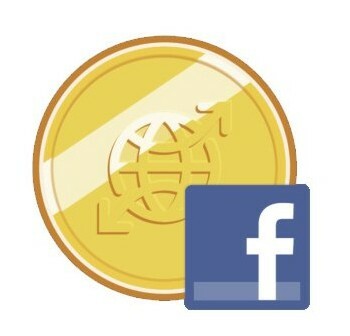 Facebook Credits beta testing ended on January 24, meaning that all Facebook developers can now begin offering the virtual currency to users who want to make online purchases. But it won't be optional for long; Facebook also announced that all games are required to begin using Facebook Credits exclusively by July. Devs can continue to use their own in-game currency but players will have to use Facebook Credits to buy it - charging 90 Credits for 75 CityCash to use in CityVille, for example. Facebook is promising incentives to developers who make the switch, like prominent placement on its games dashboard and more targeted advertising, and it has some pretty powerful incentives of its own to force the issue. It draws a 30 percent cut of all Facebook Credit purchases and TechCrunch predicts that it will eventually begin offering third-party sites a "Pay With Facebook" option for all sorts of purchases. But not everyone is happy with the changeover. At the Inside Social Apps conference in San Francisco yesterday, a panel moderator asked Facebook Head of Commerce Product Marketing Deborah Liu about statements from small developers that the 30 percent cut will drive them out of business. She began her response with, "Every day, every developer gets to choose between our platform and other platforms," a remark that was, according to Business Insider, "met with laughter, jeers and hisses from the audience." The reason is obvious. Facebook has more than a half-billion users, a figure which dwarfs other social gaming platforms into irrelevance. Any studio that wants to maximize its audience needs Facebook, and that means playing by Facebook's rules. Because of that, most - probably all - will "choose" to adapt to the new virtual currency system, but it seems pretty clear that not everyone is happy about it.